Congratulations! I just wrote a longer post at Ubuntu Finland's blog:”Debian GNU/Linux 5.0 julkaistu”. 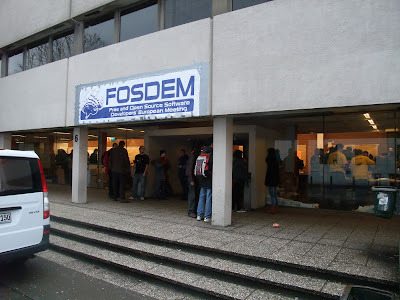 It has been a fast-moving weekend at FOSDEM. It's soon time to leave for the airport, but meanwhile a quick thanks to all the people I have met on this trip. Also there have been several interesting talks in eg. 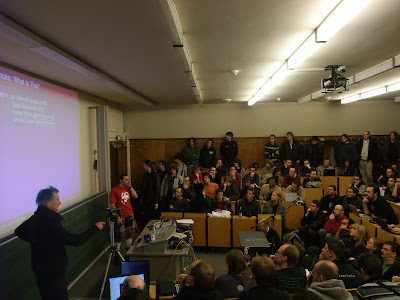 the Debian and Embedded tracks, but I think last year there was more in the form of talks for me. Anyway, I'd say the trip was a success, from the Friday's beer event to the more formal program on Sat/Sun. 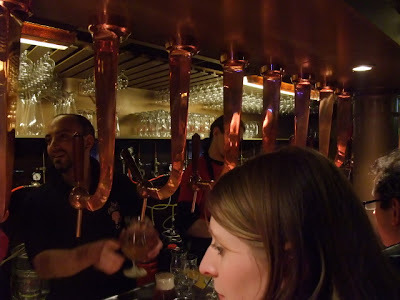 I tried to reach the GNOME Beer Event, but unfortunately sleeping sounded like a more rational choice after a dinner and having not slept too well after the Friday's beer event. Here are a couple of quick photos for you.